Heart disease is the major cause of death among Egyptian people. 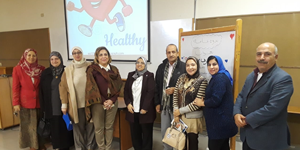 According to the latest WHO data published in 2017 Coronary Heart Disease Deaths in Egypt reached 126,312 or 24.58% of total deaths. The age adjusted Death Rate is 216.82 per 100,000 of population ranks Egypt #18 in the world. Most risk factors that affect children can be controlled early in life, lowering the risk of heart disease later in life. Certain factors play important roles in a person’s chances of developing heart disease. Some risk factors can be changed, treated, or modified, and some cannot. Many risk factors can be controlled early in life, lowering the risk of heart disease later in life. Other risk factors are hereditary or are the result of another illness or disease as diabetes, hypertension, chronic inflammation and hypersensitivity. Prevention is the best way to avoid a heart problem later in life. Controlling as many of the following risk factors as possible, starting in childhood, will help reduce risk of developing heart disease as an adult.